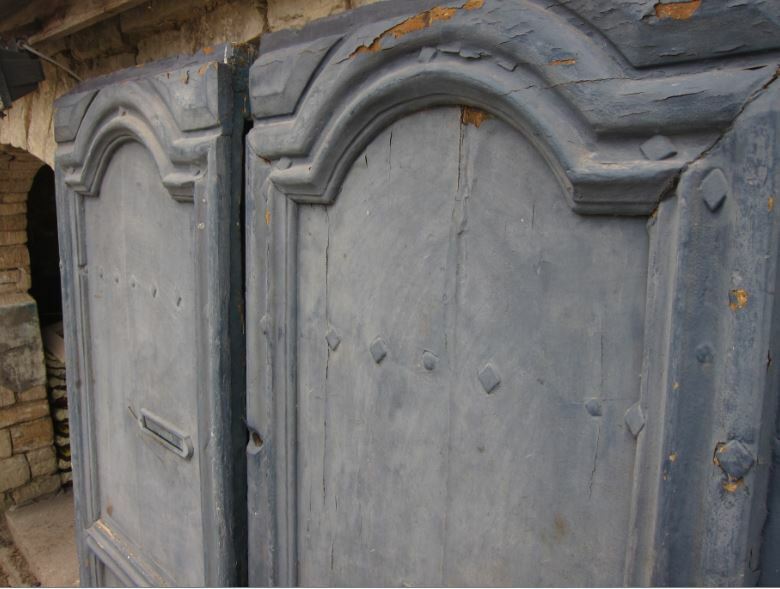 A pair of early 18th Century Louis XIV - "chapeau gendarme" - painted pine exterior doors from Toulouse. Very good sun-faded colour. Strong and sturdy. 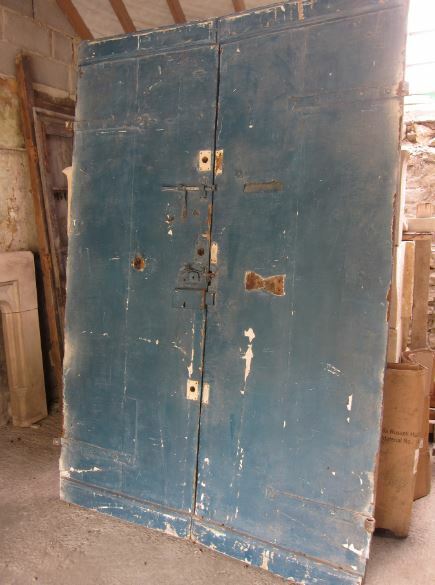 Could be great garden/courtyard/loggia doors. Full French export paperwork supplied. 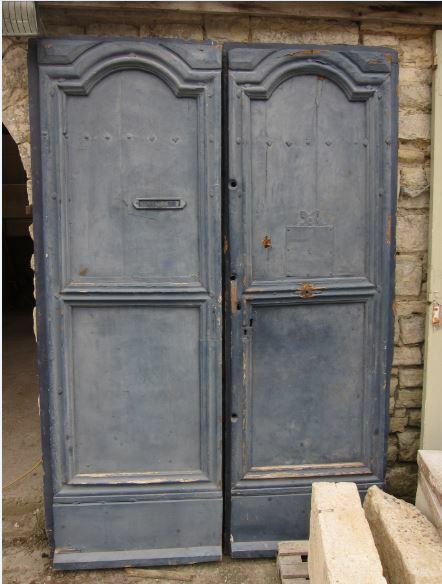 Overall width of pair 62.5"/159cm, overall height 93"/236cm Very good original condition. 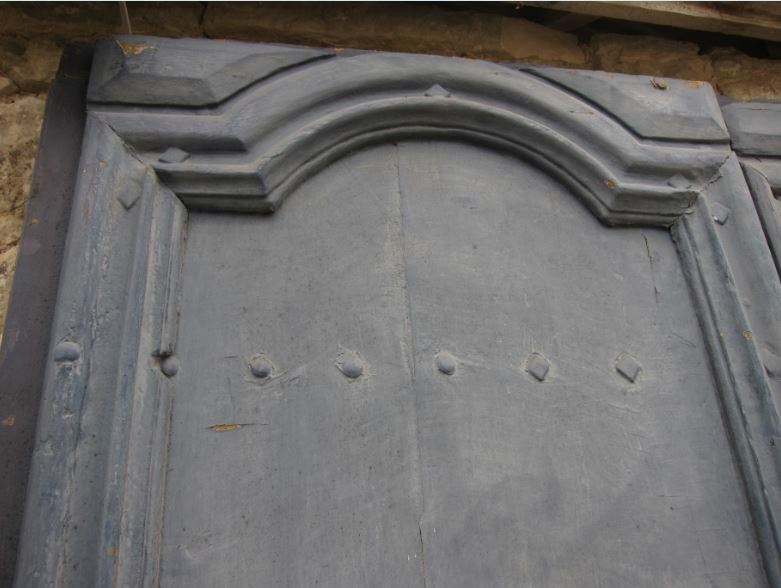 Knocks, scrapes, holes, flaking paint - everything you would associate with a genuine pair of doors from 1700. £500 plus vat Delivery can be arranged at cost.